Reboots are a thing the modern day man and woman loves – like Fidget Spinners and reality TV shows. There have been hugely successful reboots like 21 Jump Street, and massive failures – I’m looking at you the Baywatch movie. In gaming terms though we are looking at the reboot of two things here; the point and click adventure game and the Black Mirror franchise which was hugely successful on PC. Can it obtain a new following with the latest generation of gamers? Just to be clear from the outset… this game has nothing to do with the Charlie Brooker TV series. 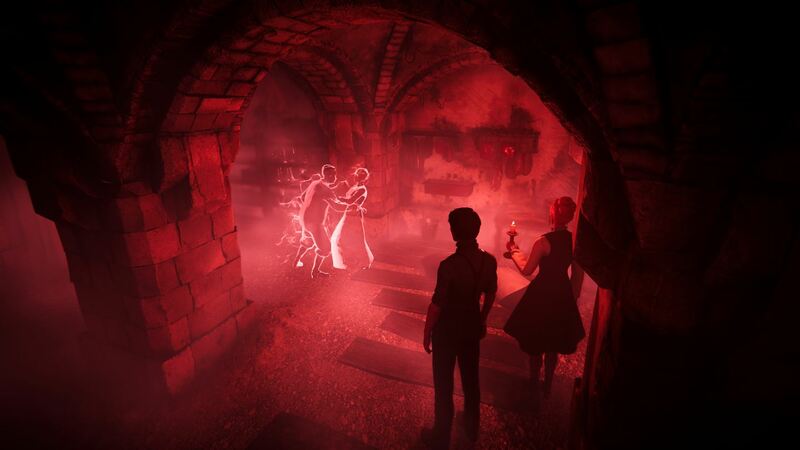 It’s a horror themed point and click adventure experience, much like the Monkey Island games, except that it is much more serious and hugely shiny. The game is influenced heavily by the writings of Edgar Allan Poe and H.P. Lovecraft, as it delivers a mixture of terror and blurring the lines between reality and insanity. The game starts with an anxious prologue in which you play as a man on the run through the Scottish Highlands from some dark presence; the end result is a disaster and that is where the main story kicks off in full. 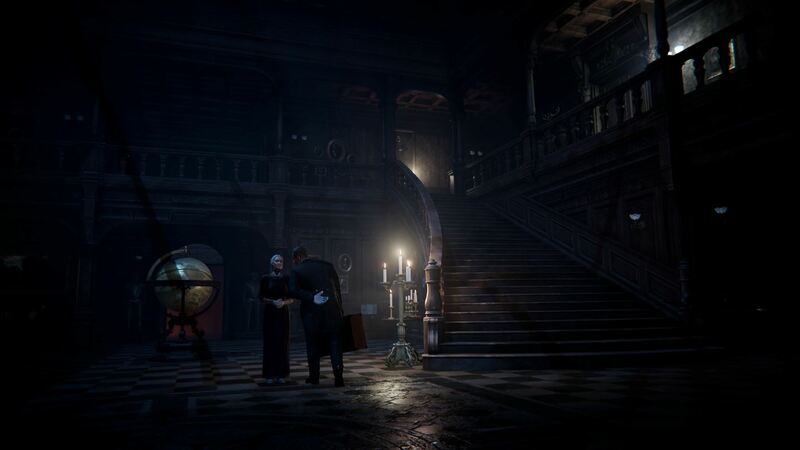 You play as David Gordon who arrives at his ancestral house in 1926, following the tragic death of his father, before being left to work out the strange goings on in this creepy house and its surrounding grounds. The story follows his journey as he discovers dark family secrets, murders, occult bloodlines and strange occurrences. Very strange occurrences. The gameplay is set about as a pure point and click old school adventure. You walk around the space, examining all the objects and points of interest, building up a picture of your environment and narrative. You can pick up certain objects and place them in your inventory, where you can look at the objects from all angles and discover the clues hidden within. There are also a few QTEs that can be slightly painful to action. There are very decent puzzles to be had, which can test your brain to the max, but all the clues are there if you look around carefully enough. I did get stuck in Chapter 4 though. And when I say stuck, I was there for a very, very, long time before things started to click. There are some sequences in which David travels to another dimension, letting him see ghosts of a past event. It is here where you’ll need to watch a scene play out in a loop, trying to gather clues from the vision, while not getting too close to the ghouls in case they attack him. Gameplay wise and this is a very nice device that was enjoyable to play through, even though the controls do at times get a bit sticky. And whilst I’m on that subject, this might be a good point in time to talk about the control system, and what works and doesn’t work so well. The actual walking around and finding of the items can be tricky. In old point and clicks the character would stay still and only move when you point at an item of interest. This might have been a better option here with Black Mirror because at times camera angles and the odd movement of the main character can hamper progress. The vision sequences prove to be another load of hardships, especially when you are trying to find an item you need on the ghosts, where awkward controls and movement let things down. There are also some frame rate issues and loading times which are long enough to allow you to have power naps in between. With this current generation of consoles, I don’t think there is a need for the length of the loading screens from room to room like those found in Black Mirror. But even with these problems I still enjoyed the pace of the game and its familiar structure of adventuring; it felt like putting on a comforting blanket on a cold day. The story and atmosphere the game creates is excellent, and something that I really got involved in. It’s a tale of family lineage, dark blood magic, ghosts and creepy goings on. The characters are really well defined and the writing is sharp and full of twists and turns. The developers at KING Art Games clearly love their horror influences and it firmly enhances all the game’s old narrative themes. I do think that Black Mirror would have been better released in chapters though, rather than in this complete package, because it feels much more suited to that then a fully priced game. 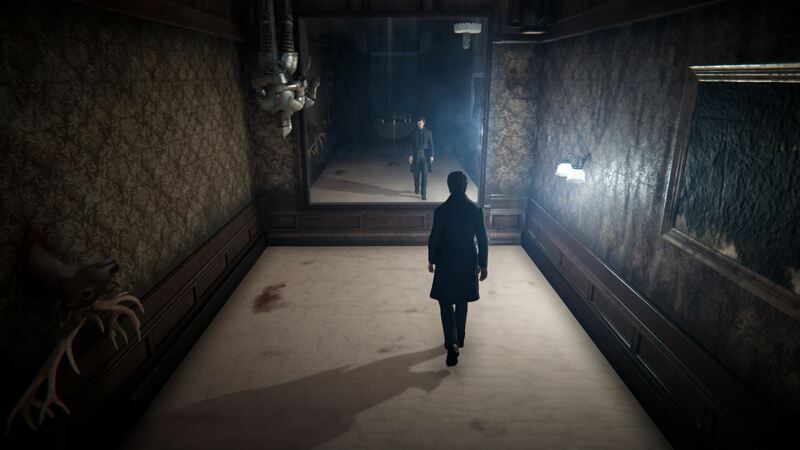 I also really like the looks and aesthetics of the game design, with its use of shadow and architecture. The rooms look very atmospheric and the whole house is great. It’s only when we go outside can things get a bit generic. The character design is very good too, with some extreme detail in the faces, especially those older faces. There are frame rate issues, and some weird movement animations mind, but nothing to ruin the experience. In the sound department and Black Mirror comes with an excellent melodramatic soundtrack that fits well within the themes and narrative. All the effects are great and work well within the context of the scenes and action. There’s an extensive use of voice over too, and the actors deliver the goods superbly, with some interesting accents and great pieces of voice direction coming from the developers. 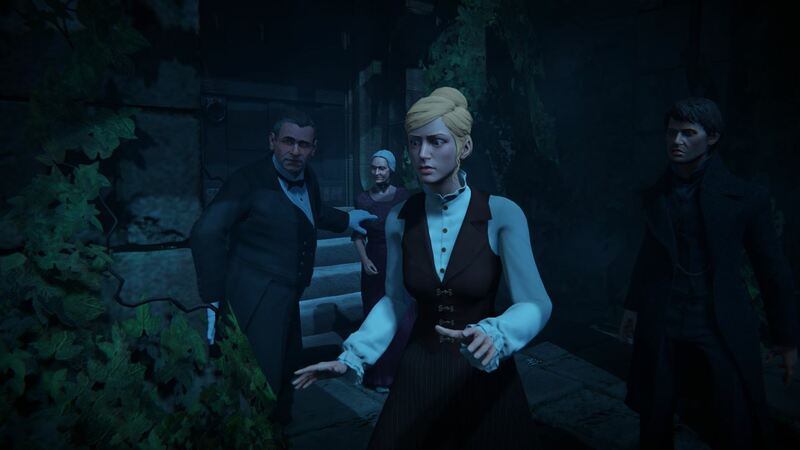 Overall I had an enjoyable time playing through this story adventure that transported me to another time and place. The narrative, voice work, atmosphere and world of Black Mirror itself are all excellent with some nice touches throughout. The execution of the game isn’t quite so nice, with dodgy controls, frame rate issues, a bit of visual jarring and horrible loading times being amongst the negatives. This didn’t affect my enjoyment of the game, but will quite probably affect those with a more sensitive palate than myself. I do think it’s a tad overpriced, but the quality is definitely there for all to see. If you’re interested in something different, then Black Mirror could well be the place for you.